What Are We to Do With Cinematic Monuments to the Confederacy?Gone With the Wind is a representation of the worst myths America still holds about itself. The answer isn’t to sideline it. 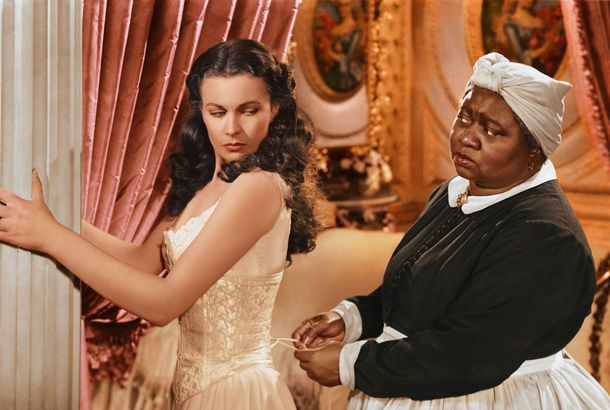 Memphis Theater to Stop Annual Summer Screenings of Gone With the WindThe Orpheum Theatre showed Gone With the Wind as part of its summer series for more than three decades. But it may never screen there again. Michael Jackson’s $1.5M Oscar Has Gone MissingEveryone, check your Oscar and make sure you have the right one. The 50 Best Movie Beauty Moments of All TimePrincess Leia, Margot Tenenbaum, and so many more. Gone With the Wind’s Alicia Rhett Passes AwayAt 98. Unseen Vintage Photos of Marilyn, Liz, and MorePlus Vivian Leigh, Clark Gable, and Judy Garland. Flight, and Nine More Scary Crash ScenesYou’ll never get on a (plane, subway, horse) again. Lord & Taylor Will Stay Open on ThanksgivingPlus, Kate Moss wears Louis Vuitton’s Yayoi Kusama collection for Jalouse magazine.